See New Video: Learn how expanded metal is used in architectural applications! Spantek Offers a New Line of Architectural Expanded Metal Patterns Called Helios! Spantek provides expanded metal blanks, coil, and fabricated components for OEM / Fabricators, Architectural, and Industrial needs! Spantek has developed a new line of architectural expanded metal products. 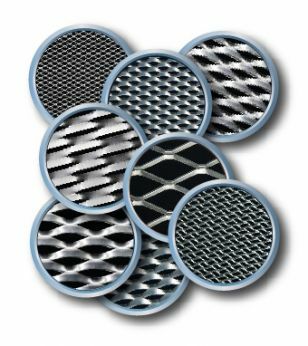 The Helios line combines functionality ..
Spantek's provides expanded metal for OEM producers of filtration, grating, enclosure, barrier mesh products and others! Spantek's focus is on serving the customer with an unmatched level of "customer-driven" service and support. Spantek has developed a new line of architectural expanded metal products. The Helios line combines functionality and form.